We love how dogs come in so many different shapes and sizes. 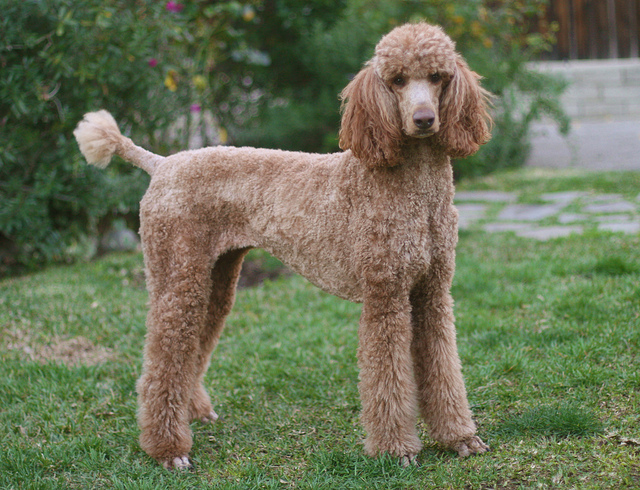 There are short and long-haired pups, some with curls, and some that shed so much, you could spin it into yarn and knit a sweater! But despite all the different types of canine coats, one thing is for sure: soft, shiny fur is the picture of health, plus it’s extra tempting to touch! Luckily, it’s easy to keep your pup’s fur in tip-top shape. 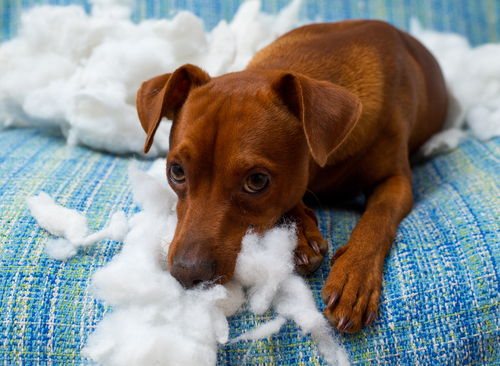 Here are 6 natural ways to improve your dog’s coat and reduce shedding. 1. Bathe your pup at an appropriate frequency. 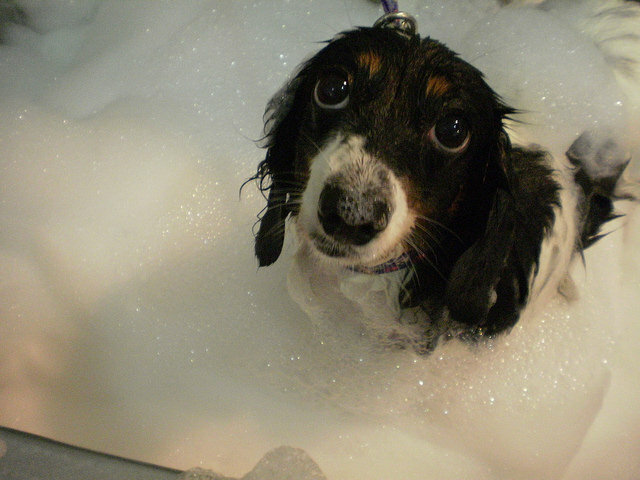 Everyone knows that regular baths keep dogs healthy and clean, but some need to lather up more often than others. Dogs prone to oily skin need to be bathed more frequently, and may even benefit from special shampoos and products. 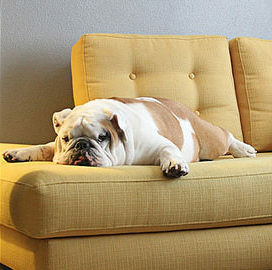 On the flip side, pooches prone to dry skin may get flaky with too many baths. Consult with your vet to determine the best frequency and products for shampooing your dog. 2. Brush your dog regularly. 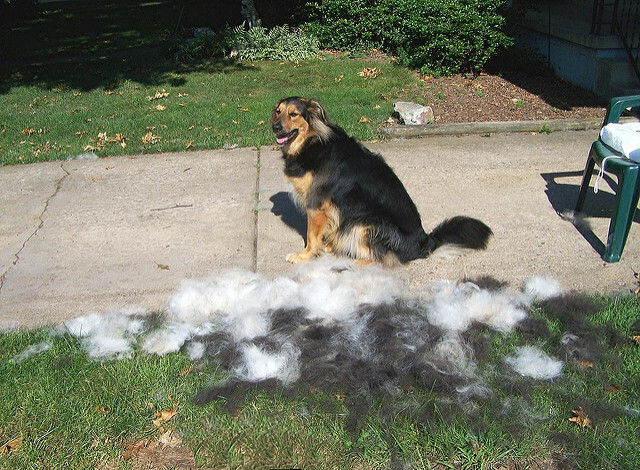 For dogs that shed a lot, a simple daily brushing can reduce the amount of hair you find flying around the house! 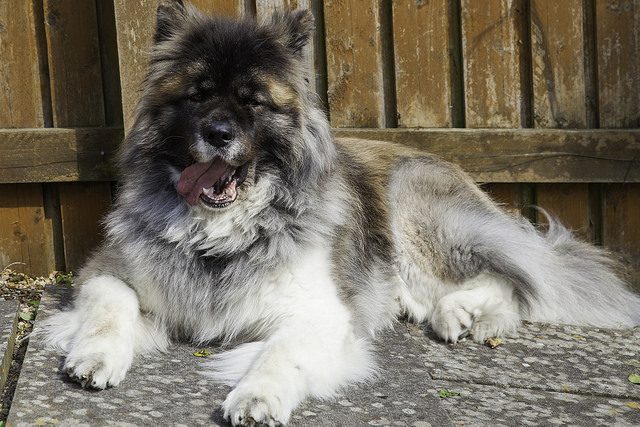 Brushing will strip the dead fur from your pup’s coat so it doesn’t come out in clumps. Plus, it distributes natural oils through the healthy fur, making it strong and shiny. 3. Good nutrition is a must! A well-balanced diet is imperative for your dog to live her longest, healthiest life, and the evidence is in your dog’s skin and coat. 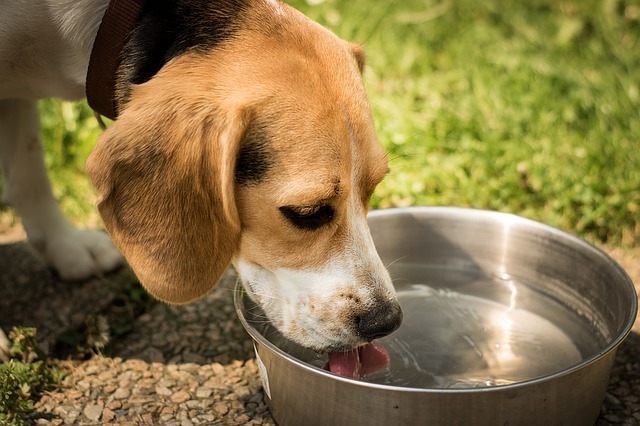 Good-quality dog food contains the necessary nutrients to keep your dog at her best, but beware of commercial brands, where nutrition may be lacking. There are even a handful of healthy “human foods” that your dog can snack on for some added nutrition. 4. 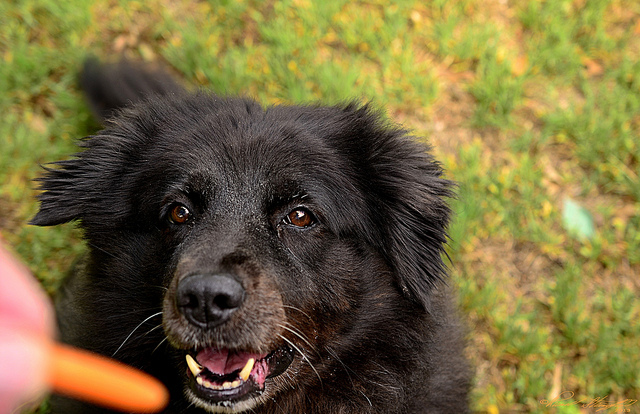 Add fish oil supplements to your dog’s diet. Adding a boost of Omega 3 fatty acids can dramatically improve the luster of your canine’s coat. Aside from aesthetics, they can also help soothe skin irritation and aid in preventing some serious diseases. You can easily add Omega 3’s to your pup’s diet with the use of a fish oil supplement; ask your vet if this would improve your pup’s health! 5. 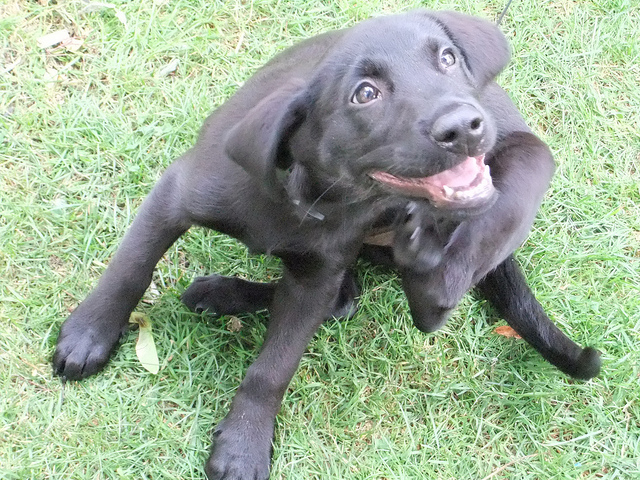 Prevent infestations of fleas, ticks, and mites. 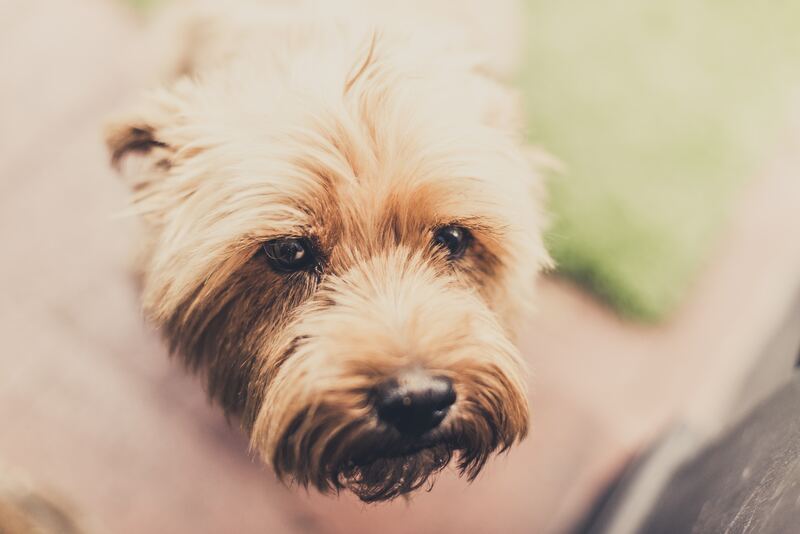 Most pup parents have their dogs on a pest preventative regimen, and for good reason! These bugs can seriously impact canine health, and symptoms can manifest themselves in your dog’s coat and fur. Bald or thinning spots, rashes, or open sores can all be signs of a pest problem. 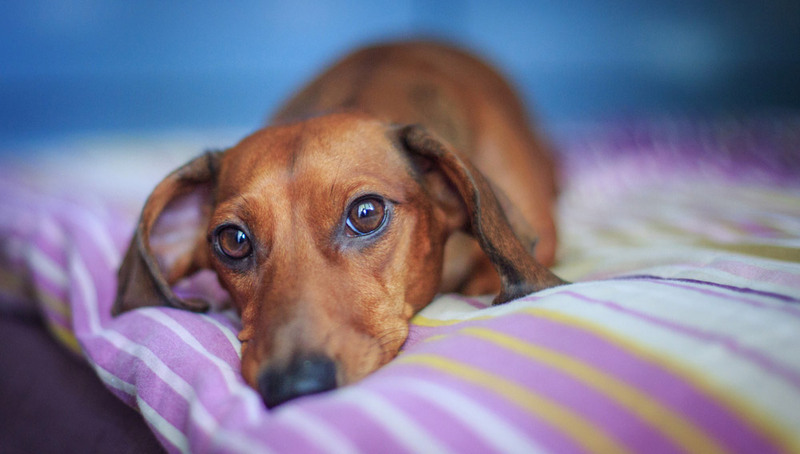 If you’ve noticed your dog suffering with any of these things, see your vet immediately. The best and easiest remedy is to prevent it in the first place! 6. Keep on top of grooming. Especially for dogs with long fur, or those with hair (which continues to grow, rather than shed), regular grooming is essential for their health. When you keep your dog’s fur clean and prevent mats, tangles, and knots, he will always be looking – and feeling – his best. 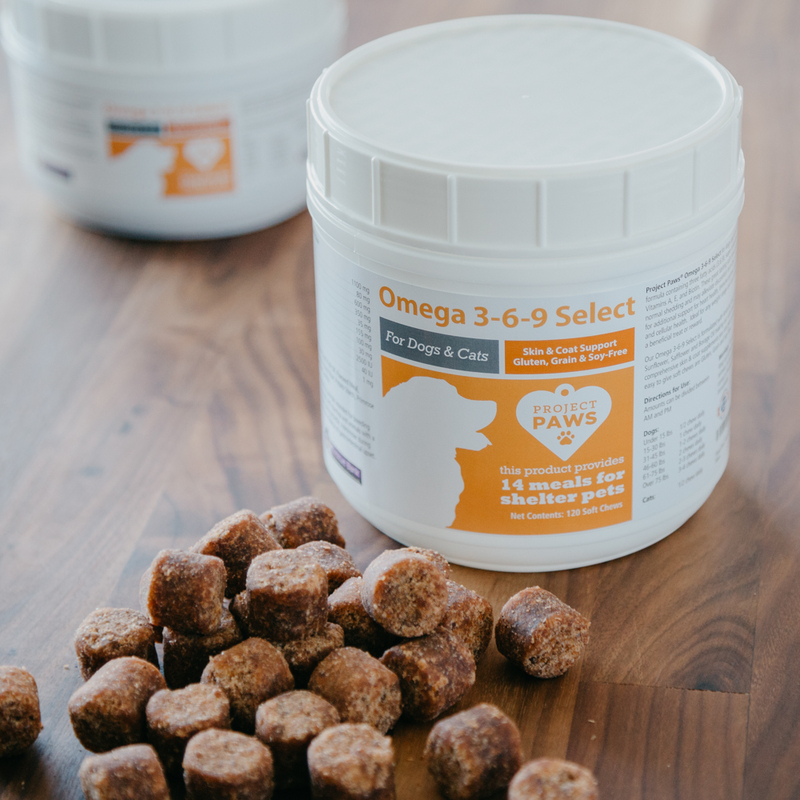 Learn more about the new Project Paws ™ line of Omega-3 Select Skin & Coat chews. We spent over a year developing the unique formula with a holistic veterinarian, leading to what we believe is the most complete skin and coat support supplement available! And like all of our products, each purchase will help provide healthy meals for shelter dogs!